Calligaris Holiday Party @ Calligaris Showroom. 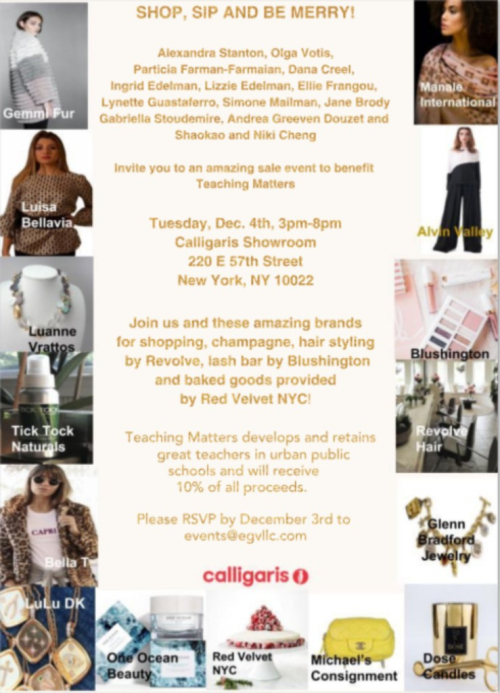 3:00 pm-8:00 pm.Calligaris NY Owners Niki & Shaokao for a special One Night Only Sip Shop event featuring fashion, jewelry, beauty brands and more. Champagne, hairstyling, treats via Red Velvet.